Under Armour Men's Shirt Just $19.99! Down From $33! Shipped! 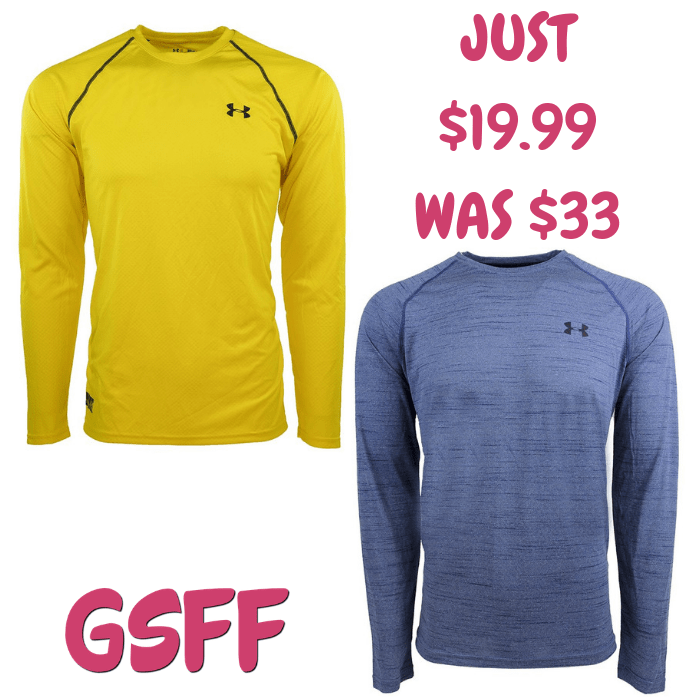 You are here: Home / Great Deals / Under Armour Men’s Shirt Just $19.99! Down From $33! Shipped! Under Armour Men’s Shirt Just $19.99! Down From $33! Shipped! Until December 16 only! Proozy has this Under Armour Men’s Shirt on sale for just $19.99 down from $32.99 PLUS FREE shipping! UA CoolSwitch uses an exclusive coating on the inside that pulls heat away from your skin, making you actually feel cool & able to perform longer. Mesh HeatGear fabric, with all the benefits of UA Compression, delivers total ventilation. 4-way stretch fabrication allows greater mobility in any direction. Moisture Transport System wicks sweat & dries fast. Smooth, chafe-free flatlock seam construction.